My Love, I’d Do Anything for You / Are You Sure Hank Done It This Way? (Live) is the third 7″ release from Morrissey’s album ‘Low In High School’. 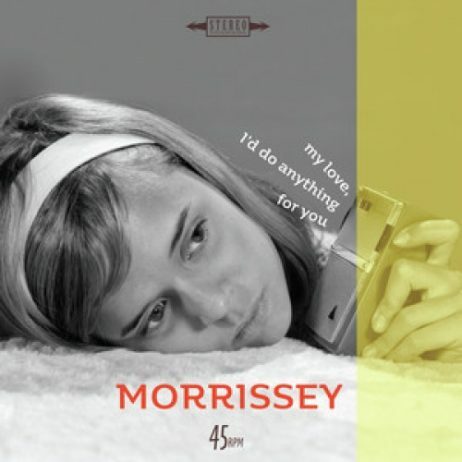 Low in High School is Morrissey’s first studio album since 2014 and was recorded at La Fabrique Studios in France and in Rome at Ennio Morricone’s Forum Studios. The record is produced by Joe Chiccarelli (who has worked with Frank Zappa, The Strokes, Beck and The White Stripes to name a few). Morrissey’s talent for combining political statements and beautiful melodies is more prevalent than ever on Low in High-School, capturing the zeitgeist of an ever-changing world.